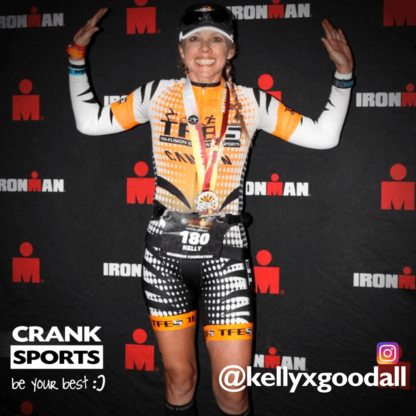 I started triathlon as a 40 something year old age grouper and was told that based on my varicose vein issue and migraine disorder, stay home because triathlon is an impossible feat Mother of three and a middle school teacher, I knew it was critical to prove them wrong. I signed with my current coach, TFES Astrid and Stef Strom, two years ago. I was slow, frequently sick, and riddled with constant injuries. I now am much stronger, faster, and healthy. Rarely do I get sick or injured. My last issue was nutrition, frequently bonking when I shouldn't. It was with them I was introduced to e-Gel and e-Fuel. I completed my first full Ironman this October using only water, e-Gel and e-Fuel, and succeeded. My 19 year old became inspired and also just started training. Crank Sports' products are what I believe made the nutritional difference to my success. 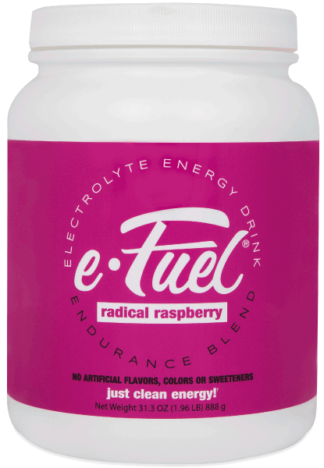 I use both e-Gel and e-Fuel and my favorite part is that the taste doesn't scare me away. They are not too sweet and doesn't leave an after taste. There is no rush of energy, but instead the energy is just a constant. I can truly feel the difference when I go out on a training session and forget my e-Gel and e-Fuel. The prices are affordable as well and the quick shipment is fabulous!